Anneoyong! Hase Low! 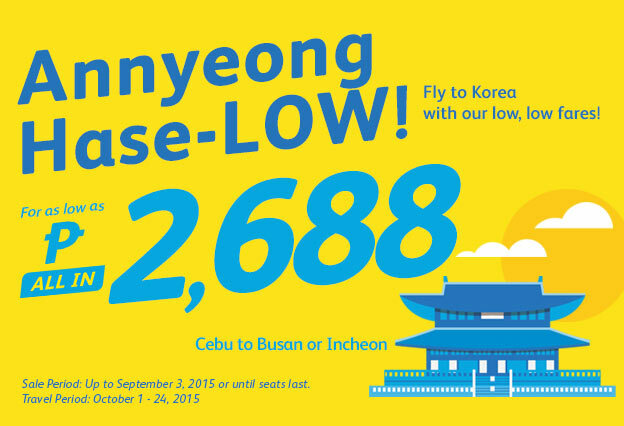 Fly to Korea with our low low fares! For as low as P 2,688 All In. Travel Period: October 1-24, 2015.